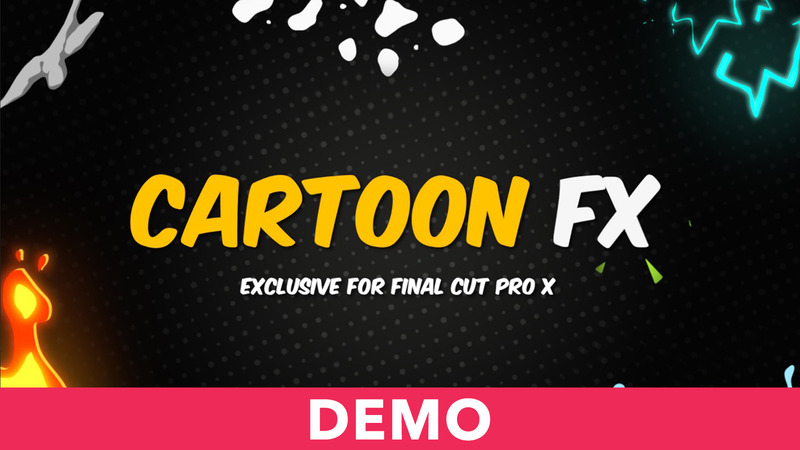 Add incredible effects in your videos, titles, lower thirds, and much more with Cartoon FX. Just let your creativity flow! Very simple and easy to use inside Final Cut Pro X. Just drag and drop, customize and create endless combinations. Get outstanding results in just a few minutes of work. Effects, Electric, Explosions, Flames, Smoke, Water, Hand drawn and English and Portuguese Alphabet. It's very useful for any kind of project and it will increase your productivity immensely. This is an amazing plugin that you should have in your tool box.